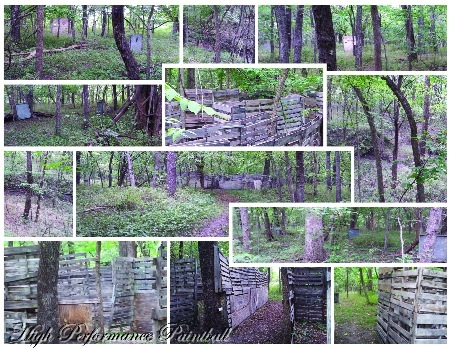 High Performance Paintball built the Fort Field with the scenario paintball enthusiast in mind. The fort in this field is 3,000 sq-ft and is built from over 200 wooden pallets. The lower portion of the fort is covered, offering protection to defenders, while the upper portion of the walls have viewing areas to see and shoot all attackers. Attackers are able to navigate a creek that meanders along the fort, so surprise attacks on fort defenders are bountiful.